I've previously mentioned that my brother and I frequently wrote letters to our favorite celebrities when we were young and amassed a decent collection of autographs we received in return -- some authentic, some not. The only ones I've shared here so far have been the black and white photograph I recieved in reply from Ralph Macchio and the various items I got from the A-Team cast members. 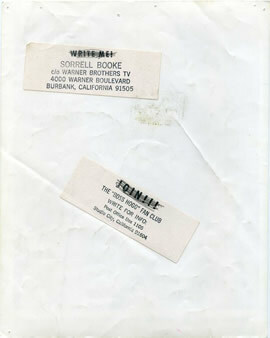 But make no mistake about it, most of our autograph seeking was in correspondence with the cast of the greatest TV show ever created -- The Dukes of Hazzard. 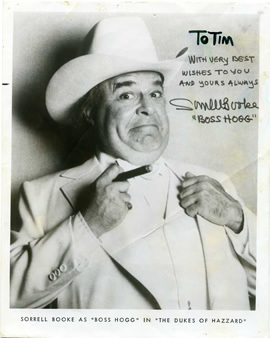 Among other replies, one of the first that I ever recieved came from Sorrell Booke -- Hazzard County's Boss Hogg. No, this is not an authentic autograph on this photo. 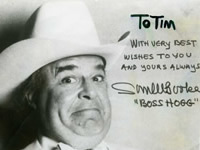 In fact, the only thing actually written on the photo is "To Tim" which quickly faded and was traced over with a Sharpie somewhere around 1982. Real or not, still very cool. Just as cool is something I came across in a box of old papers a few days ago. 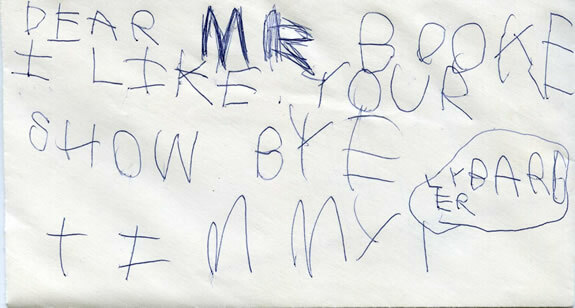 Our letter writing started at an early age -- I was maybe four years old in 1980 when we really latched on to the Dukes. 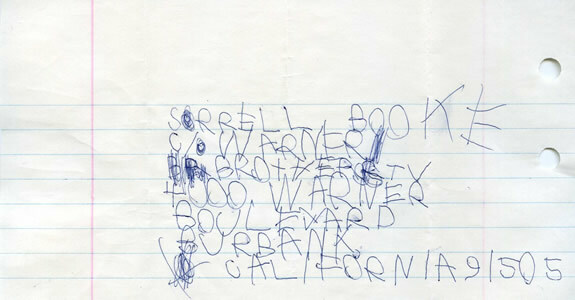 Imagine my surprise to find a fan letter to Sorrell Booke from around that time that was never sent -- written in my own 4 year old handwriting. Apparently, I was young enough that I had not firmly grasped the different purposes for an envelope and a piece of paper as the letter is written on the envelope and Mr. Booke's address on the paper inside. God bless these folks for responding to such a mess. Country Cooking, Cheap Wine, & an eBay Jackpot.